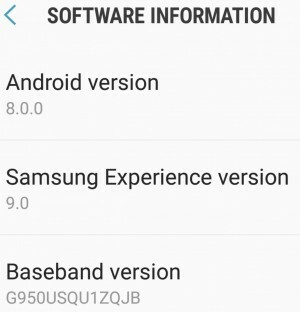 The Oreo beta testing on Samsung Galaxy S8 and Galaxy S8+ is underway and this means we get an early glimpse of what the new firmware will offer. The first screenshots come courtesy of redditor thesbros who revealed plenty of details about it along with some comments about performance and appearance. 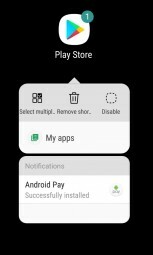 Oreo is bringing App icon badges, detailed control of notifications and long press for context menus to the Samsung flagships. There is also history for the search bar in Settings. Thesbros says Oreo is smoother than Android 7.0 and compares it to the Galaxy Note8 and the Google Pixel performance. We previously reported that a portrait mode might come with the OS upgrade, but according to the beta tester, there is no such feature. The touch latency is noticeably lower, and no features are missing, so far. The user interface stays the same design-wise. The animations are the same, but now they are all smoother. The accent colors remain the same, and the Roboto Condensed font in unchanged. The camera app, on the other hands, comes with “a nice redesign”. Just wait, buddy. You can use Subsratum on Android Oreo without root! And have it as black as your heart!